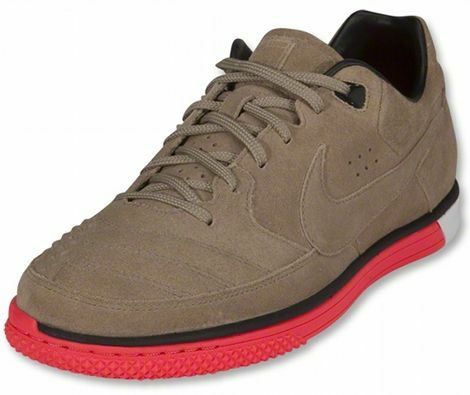 We love the Nike 5 Gato Street here on Footy-Boots.com. Not only do they look the business and come in more colours than an all-the-way double rainbow, you can roll up to just about any game of footy on any surface and join in – which is great for when you get invited for a kickabout, and don’t want to be ‘that guy’ that wears football boots and a full Barcelona kit. And all this is why we welcome any new colourways for the' Nike 5 Gato Street with open arms, and the latest trio of colourways rank up there as some of the best yet! Camel/Solar Red, Navy/Photo Blue and Jetsteam/Volt are the three new additions to the range, and definitely provide some nice visual variety to the launch colours – which were mostly greys, whites and blacks. Whilst our favourite has to be the Jetstream/Volt, we’ve got to hand it to Nike’s design team for the Camel/Solar Red colourway of the' Nike 5 Gato Street – it’s two colours we never thought we’d see on any piece of performance footwear and we think it looks tight! What sets the' Nike 5 Gato Street apart from other astroturf shoes and football boots? Well, it’s designed is inspired by three great footballing cities; Barcelona, London and Tokyo. Each city is the muse for a different part of the Nike 5 Gato Street, giving it an eclectic-but-exceptional design. Barcelona is the inspiration behind, or rather – beneath – the sole of the Nike 5 Gato Street. In a city where the best players dazzle with speed and exceptional touch, the ‘Iron-Grip’ sole ensures that you get the best possible traction, giving you the advantage of being able to leave your opponents for dead. 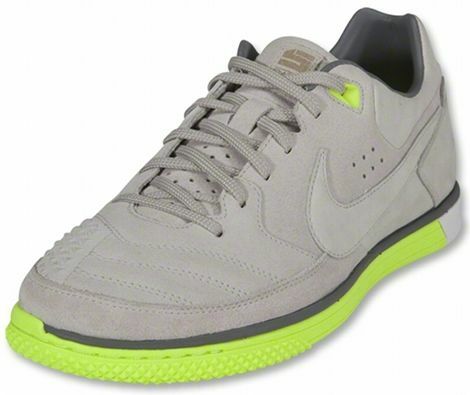 The concrete courts of London were the acid-testing ground for the Nike 5 Gato Street; if it’s ‘Hang-Tough’ construction and Lunarlon cushioning could keep the shoe in one piece and offer a comfortable ride there, they can probably do it just about anywhere. 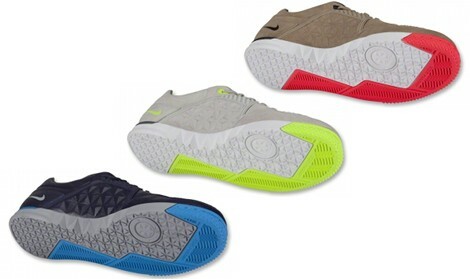 Finally, Tokyo sparked the designers imagination when they came up with the overall look of the Nike 5 Gato Street. The electric circus of Akihabara is mere minutes away from the Meiji Shrine of Shibuya, it’s a city of contrast and where old meets new. 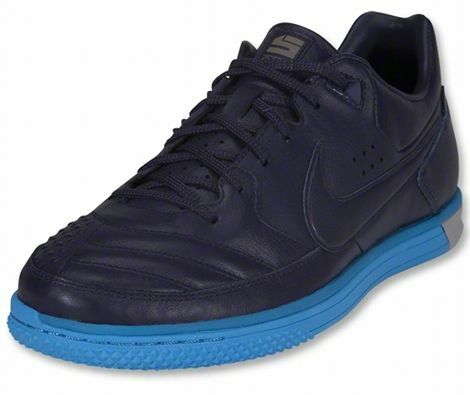 That’s why the classic Nike outstep with central lacing and the big tick„design that has graced so many great shoes meets an instep covered in a durable, prism-patterned instep that powers every pass and increases first touch friction. To find out what Footy-Boots.com staffer Chris made of the Gato Streets – check out his review, here! 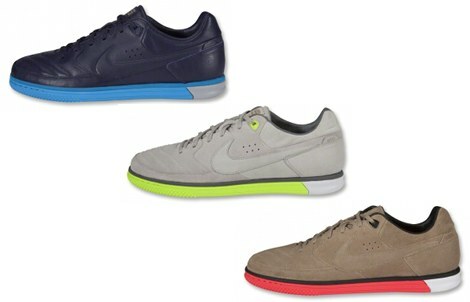 What do you think of the new' Nike 5 Gato Street colourways? the brown ons look horrible! brown ones are so swag! undercover like a secret weapon, dont look like they’re made for footy at all!